Just to be clear from the outset, we’re not talking about the four-legged variety of creature here. No, these “wild beasts,” strange as it may seem, carried around sketchbooks, easels, canvases, and paint brushes! A Parisian critic at the turn of the twentieth century observed some odd vividly colored, simplified paintings at the fall art salon and termed their creators a never-before-seen kind of animal. He called them les Fauves and the movement became known as le fauvisme. So, how did this all come about? 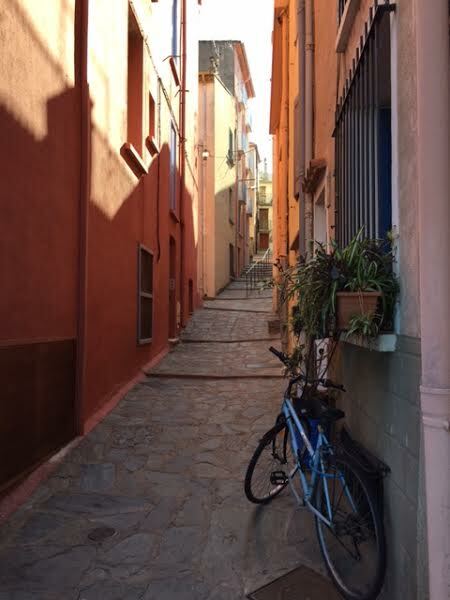 Well, it seems that in 1904 Henri Matisse had been experimenting with color at a summer retreat in Saint Tropez. 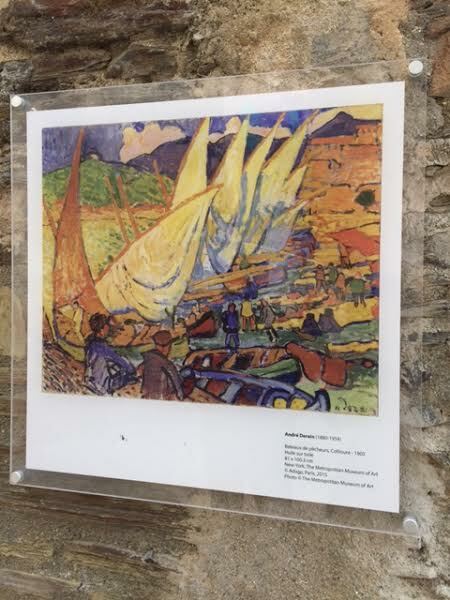 Wanting to take his sizable family to a less expensive place on the Mediterranean, the following year he settled on the sleepy fishing village of Collioure and invited his younger friend André Derain to join him. The rest, as they say, is art history. During that one season the pair produced nearly 250 paintings, drawings, and sculptures. Not bad for a few months’ work! 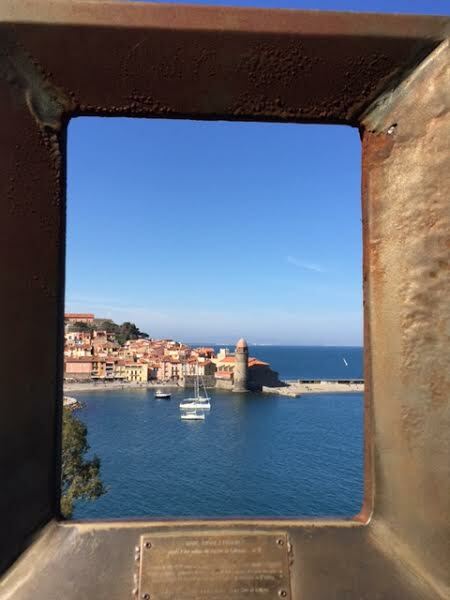 Even we artistically challenged people know that Collioure is a special place. 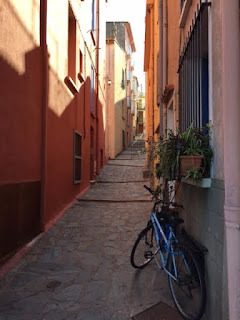 Visitors are immediately struck by the beauty of the town…the winding medieval streets; colorful, interesting buildings; the abundant light; the deep blue of the sky and the sea. And the townsfolk have not forgotten their past connection to art. At several spots throughout the city there are blank iron frames which give the perspective the artist had while creating his work. Galleries and workshops are everywhere. 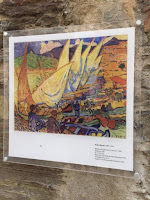 You can even follow a chemin du fauvisme, an outdoor art trail filled with reproductions of paintings by the Fauves. 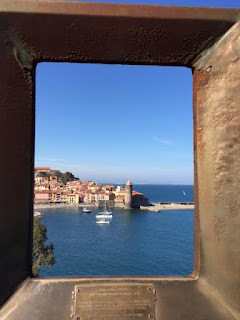 There are supposedly 20 in all, but perhaps because of the season, we found less than half that many hanging from stone walls surrounding the port. 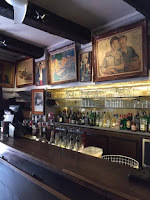 A unique connection to the history of art is found in the hotel/restaurant Les Templiers, named for the castle it faced from its location on the avenue Camille Pelletan. 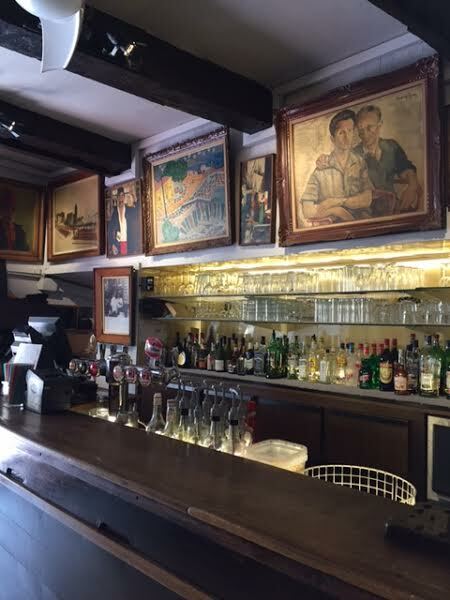 Back in the day the owners, René and Pauline Pous, not only prepared food and drink for their customers but often accepted paintings from artists in lieu of payment. As a result, the current collection—which is spread throughout the rooms and hallways of the restaurant and the hotel—adds up to over 2000 works of art. 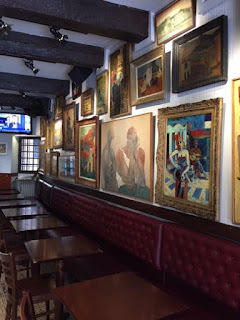 Matisse and Derain enjoyed a meal at noon there, to be sure, but also Dufy, and later on, Spaniards Dalí and Picasso. Ah, to have been rubbing elbows with that crowd!